Can be used for any occasion: home gatherings, special events, food displays, arranging seating, and so much more! Just wipe with a damp cloth to clean! 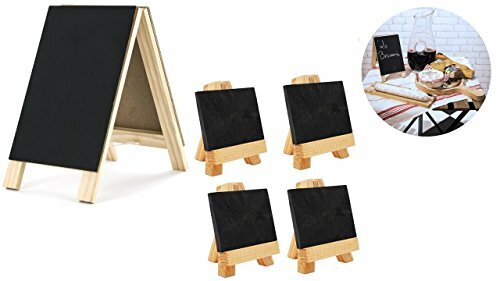 Mini Slate Markers Measurements: 3.15" X 2.13" Double Sided Easel Measurements: 4.5" X 8.2"
The double sided easel is very quick to set up; simply fold out the sides and you're set! If you have any questions about this product by Maison Plus/Lily Cook, contact us by completing and submitting the form below. If you are looking for a specif part number, please include it with your message.